The negotiators in Geneva placed the political goal of reaching an agreement above actually stopping Iranian nuclearization or reducing Israel’s need to prevent it militarily. As a result, they brought both closer than ever before. The debate over whether Israel would launch an attack against Iran’s nuclear facilities to blunt Tehran’s nuclear ambitions has always loomed large in the mind of Western policymakers. At times, it almost seemed as if what motivated Western sanctions and, occasionally, negotiators was more the fear of an Israeli strike than that of an Iranian nuclear arsenal. Now that the P5+1 states and Iran have signed a Joint Plan of Action in Geneva raising hopes for a comprehensive agreement over Iran’s nuclear program, is an Israeli attack against Iran’s nuclear facilities off the table? There have always been those who believed that Israel was bluffing all along. They would customarily cite distance, operational challenges, timing, precedent, and potential regional responses to explain how Israel’s threat lacked substance. Whether they were right, something fundamental may have now changed that an interim agreement between Iran and the six world powers has been initialed. Some say it is a new day—Iran and the United States are talking to each other in unprecedented ways. There is light at the end of the long diplomatic tunnel, supporters of the Geneva agreement contend, and because of this Israel would be truly on its own if it launched a strike now. What Keck and many other like-minded commentators, politicians and diplomats working on the issue have failed to take into consideration is that the opposite scenario—that the Geneva talks have actually increased the likelihood of an attack by Israel—is just as plausible. While it sounds like a reasonable claim, Keck, like many who have argued the same point recently, depends on three flawed critical assumptions: First, that an attack on Iran’s facilities poses similar challenges to Osirak in Iraq and Deir al-Zour in Syria; Second, that, having missed the opportunity early in the game, it is now too late; and finally, that Israel’s threats are a giant and ongoing bluff. The difficulty and complexity of launching a pre-emptive strike on Iran is not a trivial matter. The operational difficulty of the mission, the existence of alternatives, and the expectation that, if all else fails, the United States may do it, are all possible explanations for why Israel kicked the can down the road. But on the critical issue of timing, Israel still has room. The Arak heavy water reactor is not operational yet, and the other targets in Iran, unlike Osirak and Deir Al-Zour, are not reactors that must be struck before the nuclear core is hot to avoid a massive radioactive fallout. The third assumption—that Israeli leaders who say “all options are on the table” must be lying—is the most perplexing. Keck appears to believe that because a strike is unlikely, Israeli leaders have been lying for years about their country’s readiness to launch a strike. And his strongest evidence is that high-profile former members of the security establishment have over time repeatedly criticized Israel’s prime minister about his public posture on Iran. That Israel’s security establishment is having a robust public debate over this matter does not mean Israel will not do it. There are no doubt prominent critics of Israeli pre-emption at this stage, but today their disagreements are more operational than political. The debate is unprecedented in its public nature, and one could take it as evidence that the consensus needed in Israel’s security establishment to authorize a pre-emptive strike is lacking. But to take these dissenting voices of former Israeli military and intelligence officials as evidence of anything requires applying a kind of exceptionalism to Israeli public life. Retired Mossad and Military Intelligence officials voicing views in public that they could not express while in service hold the same value as similar opinions, authored by former U.S. Secretaries of State or National Security Advisers, about where the Obama Administration’s foreign policy can or cannot go. Though they’re often well known, some with political stars in their eyes, or scores to settle, rarely are these voices considered evidence of policy. Even if they were, one could cite some of their peers opining in the opposite direction. One such figure in the Israeli case is former Israel Military Intelligence Chief Amos Yadlin, who told The New Republic, a mere month before the interim deal was signed, that operationally, in late 2013, Israel could still pull a success. But far more importantly, Israelis of all political persuasions are united in seeing a nuclear-armed Iran as an existential threat. Their disagreements are more about tactics than strategy. Even as we hear public criticism of Israel’s very public spat with the Obama administration over the interim deal, the discourse is more about how disagreements with Washington should be handled, and less about the substance of the agreement itself, which most Israelis in a position to influence the course of policy appear similarly to view as weakening pressure on Iran prematurely, and damaging for Israel’s vital interests. The problem with this argument is that there is a very good chance that the sanctions regime will collapse as a result of the interim agreement itself. With Iran already benefiting from a cash bonanza triggered by market expectations about agreed sanctions relief, one can see the sanctions regime crumbling well before the final contours of a nuclear deal become clear. Within weeks of the interim deal, Iran’s petrochemical sector alone had appreciated by $9 billion—almost a 40 percent capital gain, entirely generated by a new market psychology that bets on the end of sanctions. Iran’s economy has already been rescued, and so are its procurement abilities. Had the agreement left all sanctions in place, Keck’s second point would have some validity. With sanctions on their way out, and diplomacy heavily invested in a deal, it is a harder sell. And with a final agreement likely to leave Iran’s nuclear weapons capability intact, Israel would be in a much worse position to attack then than it is now. The real question one should ask is whether Iran could reconstitute its bombed-out program after an attack, and how much faster this could happen if Iran left the NPT. The NPT safeguards have proven woefully insufficient to detect Iran’s clandestine activities and procurement efforts; on the other hand, an NPT walkout would constrain Iranian access to dual-use technology, raw materials and scientists. But it could give Israel a pretext to launch further strikes in the future. Besides—the audience most likely to indulge Iran in such a step, the Non-Aligned Movement, already views the NPT as a Western-imposed straightjacket in bad need of reform. So it is possible that Iran would leave the NPT, but so is the opposite. A walkout would present significant challenges for Iran to reconstitute its program even without the bother of having inspectors swarming its facilities. And it may not grant Iran much to gain. 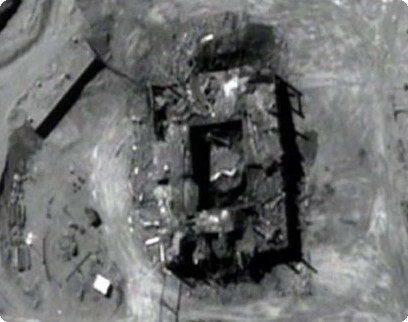 If an Israeli strike were to occur, it would be before Iran reaches nuclear breakout capacity—which is fast approaching. Would Western governments suddenly relax their export controls on nuclear technology? Or would an NPT walkout spur even greater efforts to interdict procurement? Would three decades of slow and stealthily acquired technological gains so easily be reconstituted overnight, now that Iran’s procurement activities would be under an even bigger magnifier? And this does not even begin to address another issue: Would a stricken regime rise, the morning after its most prized asset has been pulverized, as if nothing happened? Would there be no challenge to its authority within the system or from the people, after such a humiliating blow? 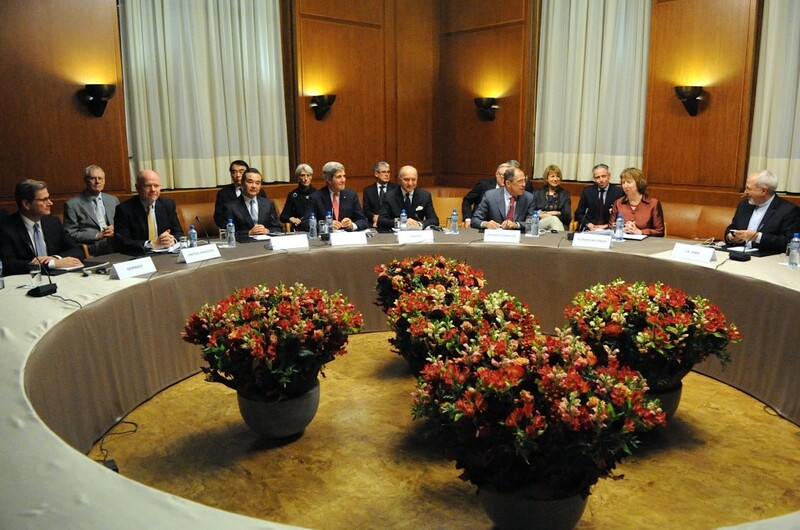 Are we sure that an NPT walkout will play in Iran’s favor, or that it will matter at all? Khamenei could change his mind tomorrow. Besides, given what Iran has been doing over three decades with its clandestine nuclear activities, one should not be overconfident that the fatwa is not, in fact, a ruse. Further improvement of relations between Washington and Tehran could yield a number of results—and Keck describes one of them. But for Iran to cool its temper in the way he expects, a number of caveats are in order. First, there is nothing to suggest that Iran wishes to exchange its adversarial relation with the United States to a patron-client one. If anything, Iran sees a diminishing American influence as a sign that the Obama Administration will acquiesce to Iran’s hegemonic ambitions. It is not just that Israel sees it that way, so do the Sunni monarchies. An Israeli-Saudi détente finds common cause in that reading, but it depends on whether Israel’s willingness to strike the common foe is there. The other Gulf monarchies are already initiating unprecedented diplomacy with Iran as a way to hedge their bets having watched American policy unfold in Syria, shifting military deployments in the Gulf and diplomatic concessions on Iran’s nuclear program. Why would they rush to embrace Israel under these circumstances unless they thought Israel would relieve them of their Iran discomfort? An attack, rather than a refrain from doing so, would likely improve Israel’s relations with Sunni regional powers, especially if it comes before any Iranian-American deal, however unlikely, takes hold. No doubt, none of them will give Israel diplomatic cover at the UN once condemnations start to pour in. There are limits to what this convergence of interests can deliver. But all Israel needs is a certain level of operational acquiescence. Such complicity will increase the chances of success. Keck believes that the consequences will be disastrous because, among other things, Iran may try to draw the U.S. into the conflict. Yet, that is exactly the type of development that would sway things Israel’s way. The United States would respond forcefully to an attack—and it may end up destroying what Israel cannot reach with its limited military capability. After that, any chance of an Iran-U.S. rapprochement of the type Keck describes would be truly unlikely. It is just as possible, therefore, that Iran’s response would be significantly more circumspect, limited to unleashing Hezbollah, launching terrorism against Israeli and Jewish soft targets overseas, and playing victim to the world audience. It will not be Israeli public diplomacy’s finest hour, but if it comes to a preventative strike, Israel will probably conclude it can live with more bad publicity. That includes in the Arab world, where sympathy for Iran is not exactly running high. Keck appears to underestimate the irreparable damage Iran and its franchise, Hezbollah, have done to their own image among Sunni audiences in the 30-month-long intimate involvement in the mass slaughter and ethnic cleansing of Sunnis in Syria. It is entirely possible that the legion of jihadi enthusiasts who rushed to Syria to fight the Assad regime and, by extension, Iran and Hezbollah, will not look too happy with the telltale signs of an Israeli-Saudi collusion against Iran’s nuclear program. But their hatred for the Shi’a Persian foe is deeper, and an Israeli attack will only solicit the usual perfunctory street protests and tame condemnations from officialdom in the region. It’s a small price to pay for access to Saudi airspace and maybe more. Keck also omits one more critical factor that looms large in Israel’s calculations. Parallel to Iran’s diplomatic efforts to relieve international pressure on its own program, for some years now there have been concerted efforts, especially in the framework of the NPT Review conferences, to shift the focus of international attention on Israel’s nuclear program—efforts which unsurprisingly have found strong favor among Non-Aligned Movement countries and enthusiasm among Arab states, including those who see Iran’s nuclear ambitions as a threat. If Israel did nothing now, it might later confront an environment where Iran remains a nuclear threshold state under diminishing sanctions, enjoying international legitimacy and a détente with the United States. Meanwhile, Israel would find itself under pressure to reveal the full extent of its nuclear program. And make no mistake, Sunni Arab countries will not give Israel any discount on this matter. 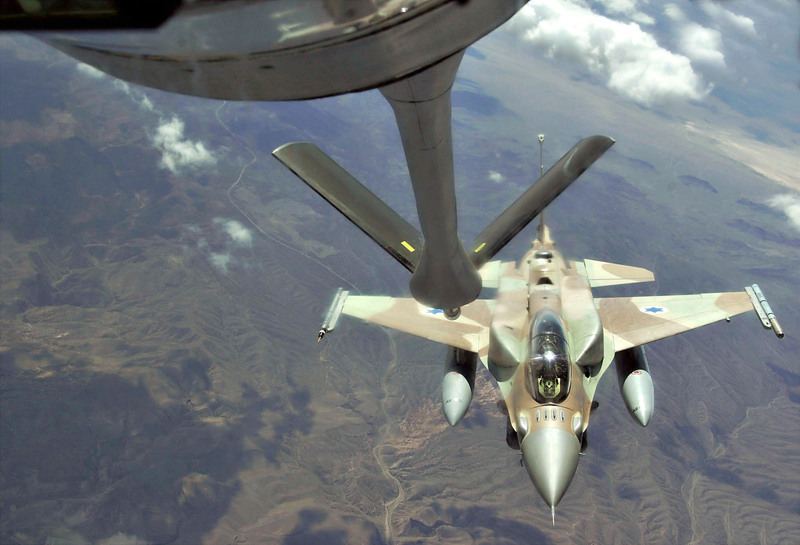 An pre-emptive strike would improve, not weaken, Israel’s ties with the Sunni Gulf states. Keck may be right that Israel would be deterred from attacking in the immediate aftermath of the interim deal. But much less so for the long haul. 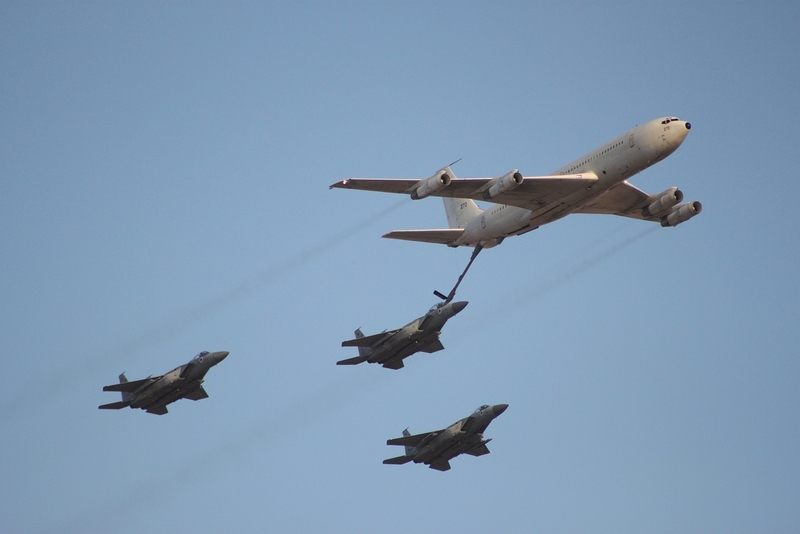 If anything, once the dust has settled, it should become evident that an Israeli pre-emptive attack on Iran is now more, not less likely to occur, as a result of the changing environment created especially, though not exclusively, by the weak interim deal. It is hard to believe that the last five prime ministers of Israel and the different political establishments they represent were all bluffing. Even if they were, before the interim deal was signed in Geneva, one regional actor took Israel’s public warnings seriously—and that was the Islamic Republic of Iran, which sought to deter an Israeli attack by assembling the best anti-aircraft technology it could buy and, failing that, took Israel seriously enough not to provoke a strike. The most obvious example of this behavior was after Netanyahu’s “bomb speech” at the United Nations General Assembly in September 2012, when the Israeli prime minister told the world that Iran’s stockpiling of 250 kilograms of uranium enriched to almost 20 percent levels was a red line. Experts considered Iran to be just months away from that benchmark at the time, but suddenly enrichment activities were adjusted, avoiding any test of Netanyahu’s threats. Now, Iran may think Netanyahu has been boxed in, and will feel less compelled to take his warnings seriously. Such an over-confident tone is understandable given Iran’s brilliant accomplishment in negotiating the interim deal. But overconfidence could lead Iran to undertake exactly the kind of action in its nuclear program that Israel is likely to interpret as crossing a red line. It is all speculation of course, but as far as speculation goes, the likelihood of an Israeli pre-emptive strike on Iran’s nuclear facilities has just gone up, not down.